This holds true for our own lives. I can’t emphasis enough how important the words of your mouth are in your own life. The Bible says that YOUR words will bless you or curse you, prosper you or break you, keep you alive or help kill you. In this life, YOUR words will bring you through victoriously or YOUR words will cause you more trouble than ever. 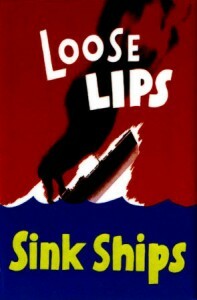 In other words, it is possible to sink your own ship – life – through the words of your mouth. It doesn’t matter if you believe that your words aren’t that important. It doesn’t matter if you believe that you can make bad statements such as, “If it weren’t for bad luck, I’d have no luck at all*, hahaha.” It doesn’t matter if you think, “Well, I’m just joking, lighten up, Nan!” It doesn’t matter if you believe it or not. You believing your words are important or not doesn’t affect the fact that it is true. All that matters is what GOD says. He put choices in front of you – life and death, blessing and cursing. He told YOU to choose life and blessing. He says when you say something that is not life, it is a curse. 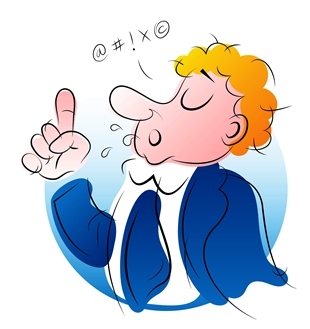 We think cursing is when you say a “four-letter curse word” like “da*n” or “he*l – but that is not true. Cursing is far more powerful than those words (although they are not something you really want to have in your life) – cursing is saying dead things (remember, God’s words are life). Cursing is saying things the opposite of what you want and saying things not conducive to your well being and future. Just like those loose lips could give the war enemy inside-information during the war, the Bible talks about our enemy, the devil. Believe you me, the enemy does care what you say. He wants you to speak negatively. He wants you to speak doubt and unbelief. He wants you to speak death, destruction, destroying, thieving, and killing words. He wants to steal, kill and destroy your life, in any way he can and he can only steal from you when you agree with him through the words of your own mouth. The enemy hears every word you say and then begins to work to bring the negative ones to pass in your life. It’s his job and he’s very good at it. All he has to do is get you to agree with his negative words and he has captured you through your own mouth – – you’re snared by your own words. Say what God says and you live a life in peace, health and prosperity. Say what the devil says and he has a right to steal, kill and destroy your life. Don’t do it. DO NOT ACCEPT ANYTHING CONTRARY TO THE WORD OF GOD. God has a lot to say about your life, good things. Agree with God no matter how you feel. Short version? Say what God says and you’ll have success in every area of your life. *”Gloom, Despair and Agony On Me” sketch from television show Hee Haw. Life or death? You would think it would be a no brainer and it is but yet not that easy to accomplish. We are bombarded with words by the world which may even sound cool but in the end it was not good.